Dr. Eric Bianchi is Assistant Professor of Music at Fordham University in New York City. He received his Ph.D. from Yale University in 2011. His research explores the intellectual and scientific contexts of music during the Early Modern period, with particular focus on the musical writings of the Jesuit polymath Athanasius Kircher. He was a Rome Prize Fellow at the American Academy in Rome in 2008-2009. Elena Ciletti is Professor Emerita of Art History at Hobart and William Smith Colleges, where she has taught Renaissance and later periods, women artists, and African-American art. She has published on the patronage of the last Medici, Anna Maria Luisa (1667–1743), and on representations of Judith by Artemisia Gentileschi and others. She is working on a book on Judith’s iconography in Counter- Reformation Italy. Kelley Harness is an Associate Professor of Music and Head of Musicology/ Ethnomusicology at the University of Minnesota. Her publications include Echoes of Women’s Voices: Music, Art, and Female Patronage in Early Modern Florence; “Judith, Music, and Female Patrons in Early Modern Italy,” in The Sword of Judith: Judith Studies across the Disciplines; and “‘Nata à maneggi & essercizii grandi’”: Archduchess Maria Magdalena and Equestrian Entertainments in Florence, 1608–1625,” in «La liberazione di Ruggiero dall’isola d’Alcina»: Räume und Inszenierungen in Francesca Caccinis Ballettoper. She is currently writing a book on the seventeenth-century balletto a cavallo (horse ballet) in Florence. Scott Lykins is the artistic and executive director of the Lakes Area Music Festival in Brainerd, MN. Dr. Michael Schulman (PhD Physics ‘88) is an Orthodox/Hassidic Jew who has served since 1999 as Executive Director of the charitable organization Ask Noah International, and its web site Asknoah.org. Dr. Schulman is co-author of the book Seven Gates of Righteous Knowledge: Spiritual Knowledge and Faith for All Righteous Gentiles. Anthony Ssembaya is the founder of the Kirabo Doors of Hope Foundation. His foundation empowers youth — especially girls — in Uganda by offering them a solid educational foundation. Tony is an Ugandan national, studied at the Universität Leipzig in Germany, and has worked at the United Nations Girls’ Education Initiative in the United States. 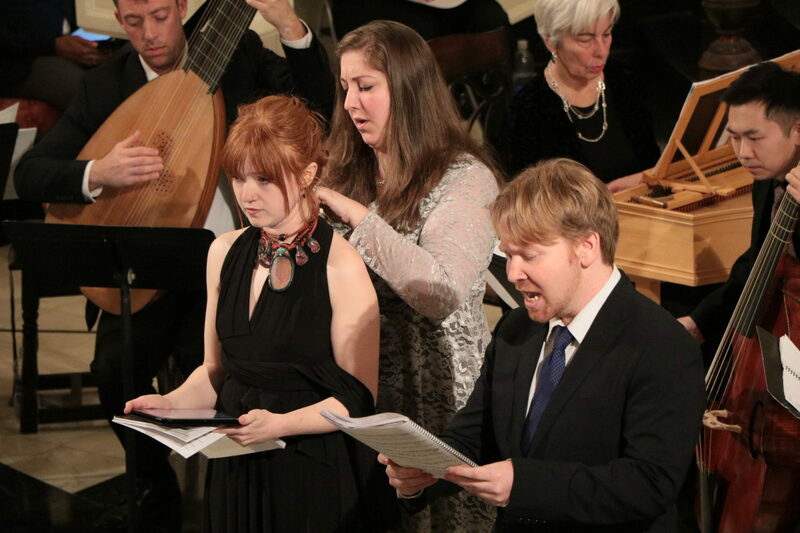 Abigail Storch is a master’s candidate in religion and literature at the Yale Institute of Sacred Music. She currently serves as the editorial intern for religion at Yale University Press and performs internationally with Schola Cantorum, the university’s premiere graduate chamber ensemble. Jane Tylus is Professor of Italian Studies and Comparative Literature at NYU. A specialist in late-medieval and early-modern European literature, her most recent books are Siena, City of Secrets (Chicago, 2015) and the co- edited Early Modern Cultures of Translation (with Karen Newman; Philadelphia, 2015). She is the General Editor of I Tatti Studies in the Italian Renaissance.